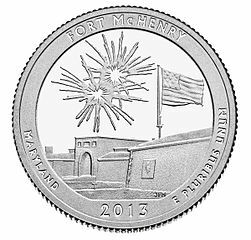 The US mint released the Fort McHenry Quarter August 26, 2013, the 26th release of the America the Beautiful series. The quarter portrays Fort McHenry on the coin’s reverse. 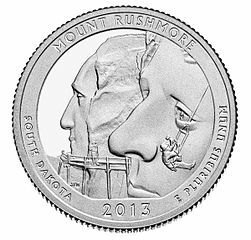 The US mint released the Mount Rushmore Quarter November 4, 2013, the 26th release of the America the Beautiful series. The quarter portrays the Mount Rushmore on the coin’s reverse. 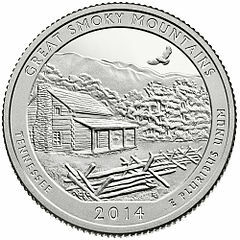 The US mint released the Great Smoky Mountains Quarter January 27, 2014, the 21st release of the America the Beautiful series. The quarter portrays the Great Smoky Mountains National Park on the coin’s reverse. The US mint released the Shenandoah Quarter March 31, 2014, the 22nd release of the America the Beautiful series. 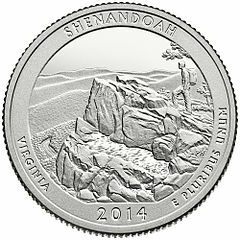 The quarter portrays the Shenandoah National Park on the coin’s reverse. The US mint released the Arches Quarter June 9, 2014, the 23rd release of the America the Beautiful series. 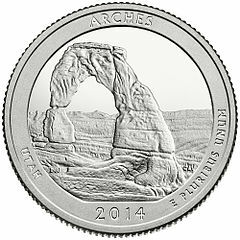 The quarter portrays the Arches National Park on the coin’s reverse. 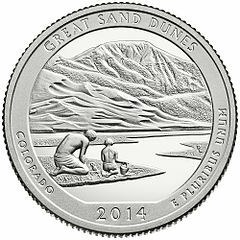 The US mint released the Great Sand Dunes Quarter August 25, 2014, the 24th release of the America the Beautiful series. The quarter portrays the Great Sand Dunes National Park and Preserve on the coin’s reverse. 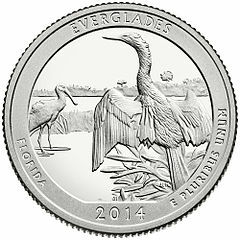 The US mint released the Everglades Quarter November 3, 2014, the 25th release of the America the Beautiful series. The quarter portrays the Everglades National Park on the coin’s reverse. 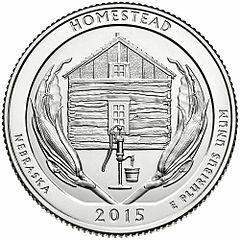 The US mint released the Homestead Quarter February 9, 2015, the 26th release of the America the Beautiful series. The quarter portrays the Homestead National Monument of America on the coin’s reverse.